When Mind Matters attended the recent Health & Wellbeing at Work Conference in Birmingham we met some really interesting people offering a variety of services to support businesses and individuals. One of the little gems we came across was a company called Work Positive who have created a product to help people to identify and recognise their strengths and to identify these in others. For those of us who have experienced poor mental health, or supported others experiencing mental health difficulties, there are certainly times when it’s incredibly difficult to identify positive attributes and strengths in ourselves. Sometimes we may need others to remind us of these, or to highlight what we haven’t yet recognised in our selves. 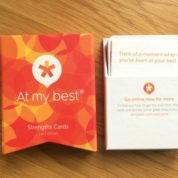 At the event, Martin Galpin, Director of Work Positive kindly allowed us an insight into his new product and generously gave us a sample set of the At my best, Strength Cards, to give us a chance to try these out and consider whether they would be something we could use with our customers as part of some of our training courses. It’s been a busy few weeks for us since Birmingham, but this week I finally had the opportunity to have a look through the cards and reflect on my own strengths and to see if I could identify these from the deck. The deck of cards offers two options, visual selection by way of a picture on one side, and language selection via words on the other side. I opted to use the words. 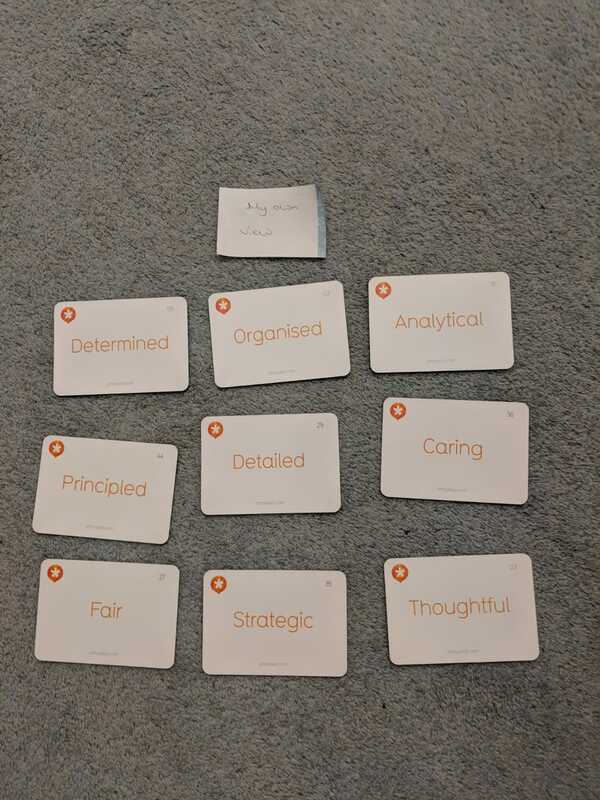 I was interested to try out some of the suggestions in the accompanying guide, so as well as doing a self-reflected selection I also asked my husband to give me his reflections on what my strengths were. We then did a jointly decided selection to look at our strengths as husband and wife and as a parent team. It was really interesting to see my strengths from another persons viewpoint, and of someone whose opinion I highly value. These are just three of the ways you can use the cards, but they can also be used with workplace teams, undertaken as a ‘Guess Who?’ which will also highlight perhaps how well we know team members and how well we think we know them. I actual ly believe the ‘strength’ in these cards is their versatility to be used personally, professionally, individually, and in teams. Many people will also prefer to use the pictorial side of the cards. 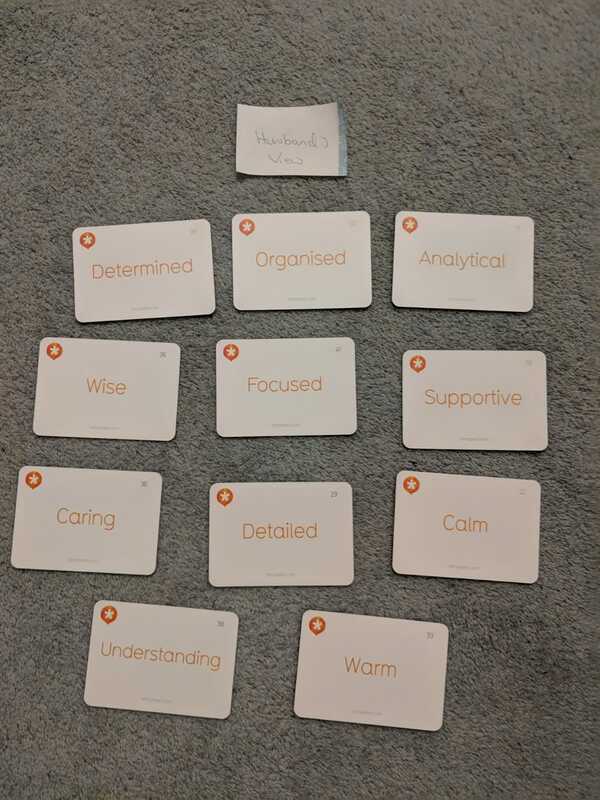 As part of purchasing the deck, there is also a further opportunity to use the FREE online tool to record these and to make word clouds featuring your strengths – a great thing to have displayed on your workstation or fridge door for the times when we might need a gentle reminder of our strengths. Martin and his company have generously provided a discount code to our readers so you can purchase your cards with 30% discount off the single pack (i.e. not applicable for bundle packs). You simply need to enter the code mindmatters at the checkout. The cost of the Strength cards is £25 but there are options to buy them as part of a bundle and you can find all the costs here and find out more about the cards and how they can benefit you here We hope you have fun identifying your own strengths.